PEP 3107 introduced syntax for function annotations, but the semantics were deliberately left undefined. 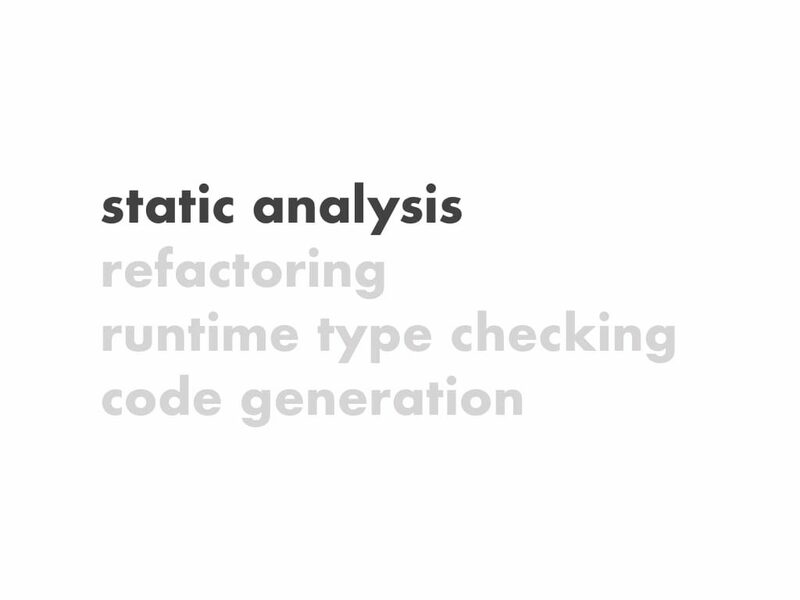 There has now been enough 3rd party usage for static type analysis that the community would benefit from a standard vocabulary and baseline tools within the standard library. 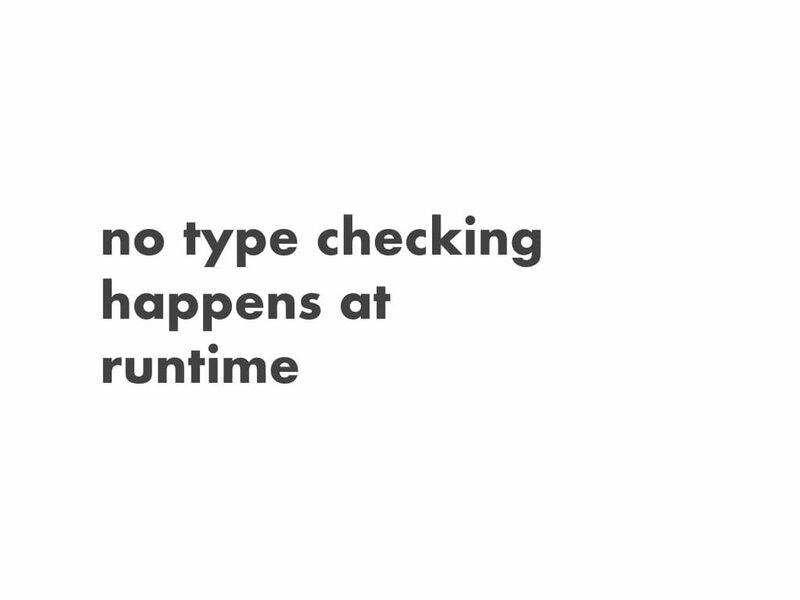 …no type checking happens at runtime. 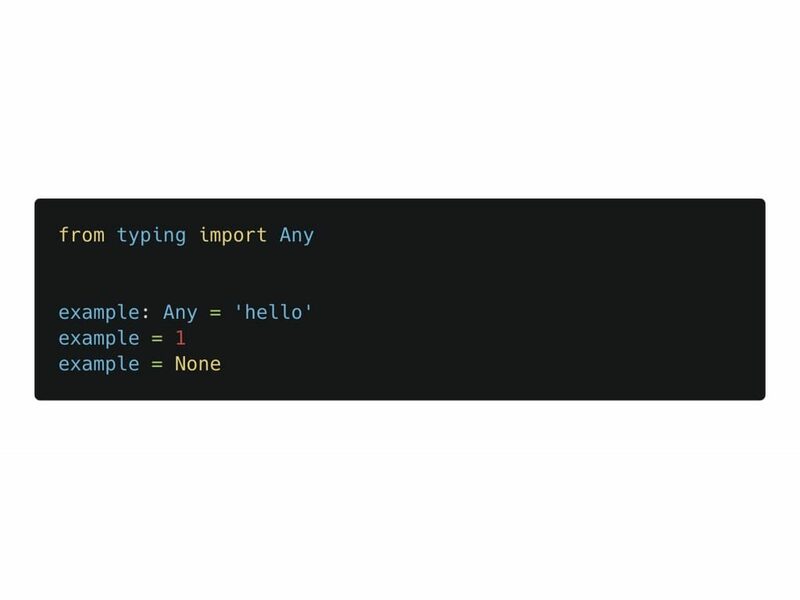 Instead, the proposal assumes the existence of a separate off-line type checker which users can run over their source code voluntarily.  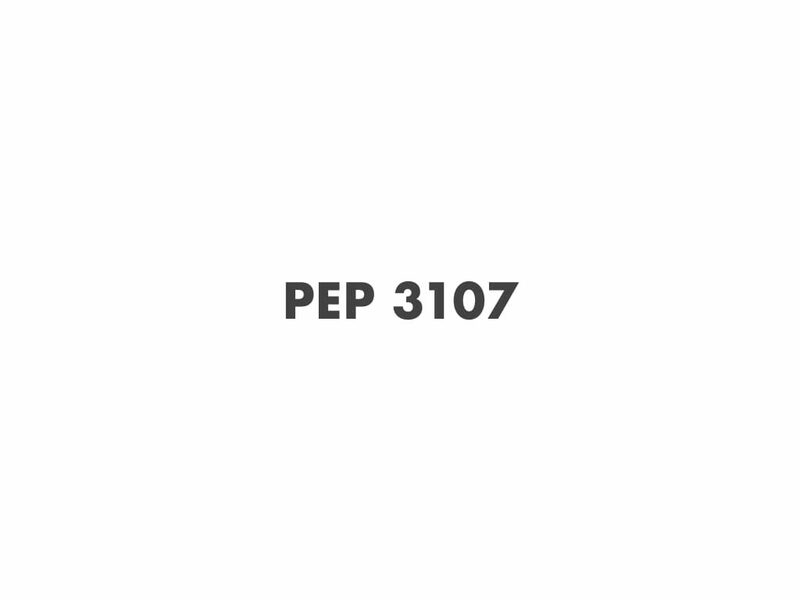 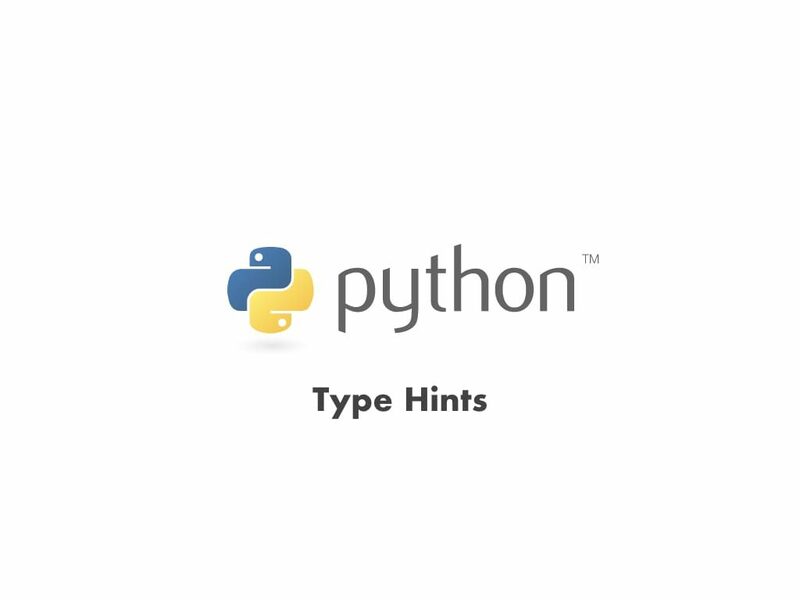 This PEP aims to provide a standard syntax for type annotations, opening up Python code to easier static analysis and refactoring, potential runtime type checking, and code generation utilizing type information. 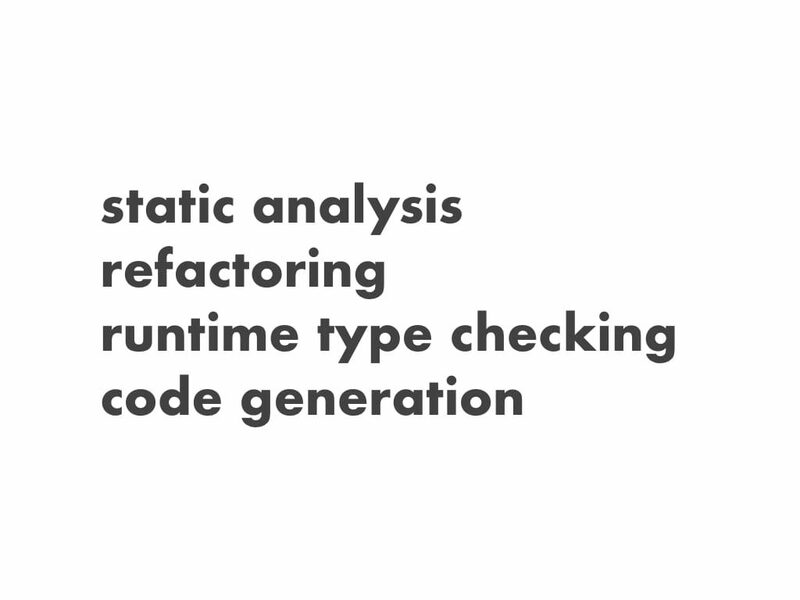 Of these goals, static analysis is the most important. 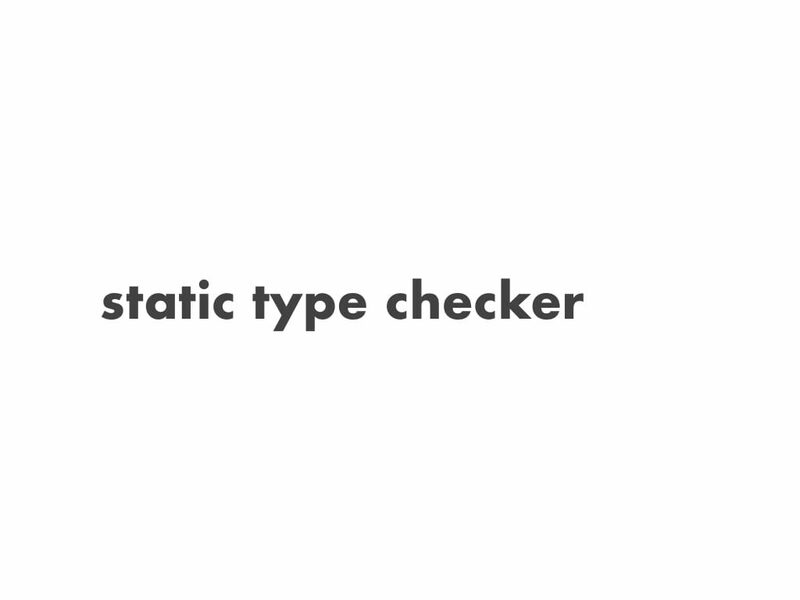 This includes support for off-line type checkers, as well as providing a standard notation that can be used by IDEs for code completion and refactoring. 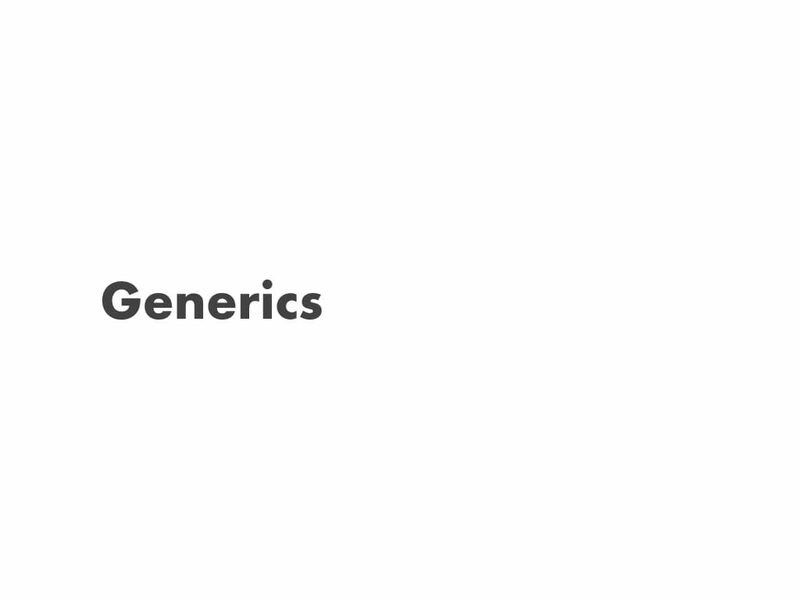 Generic type variables can also be used to define generic functions. 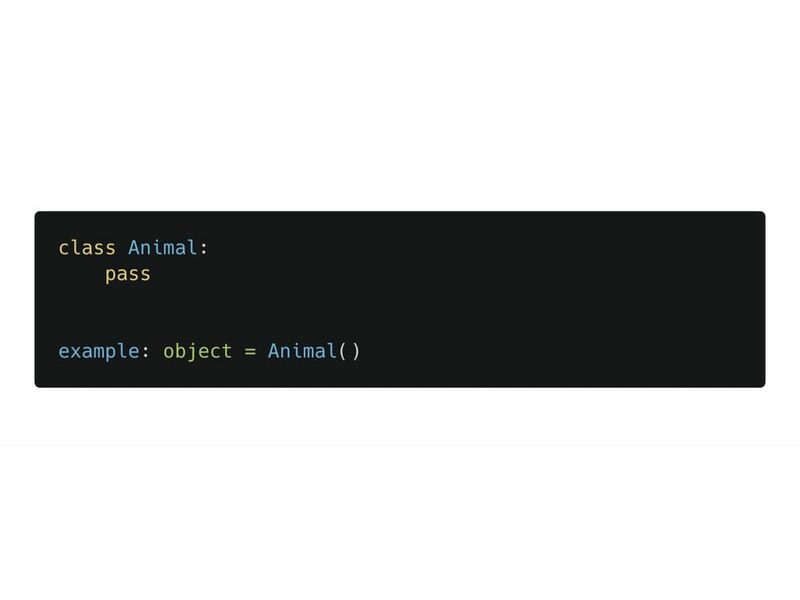 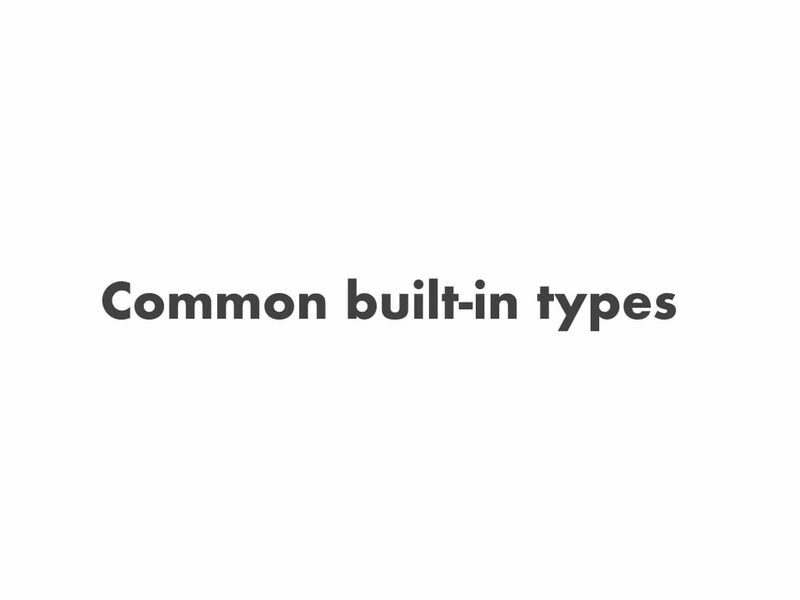 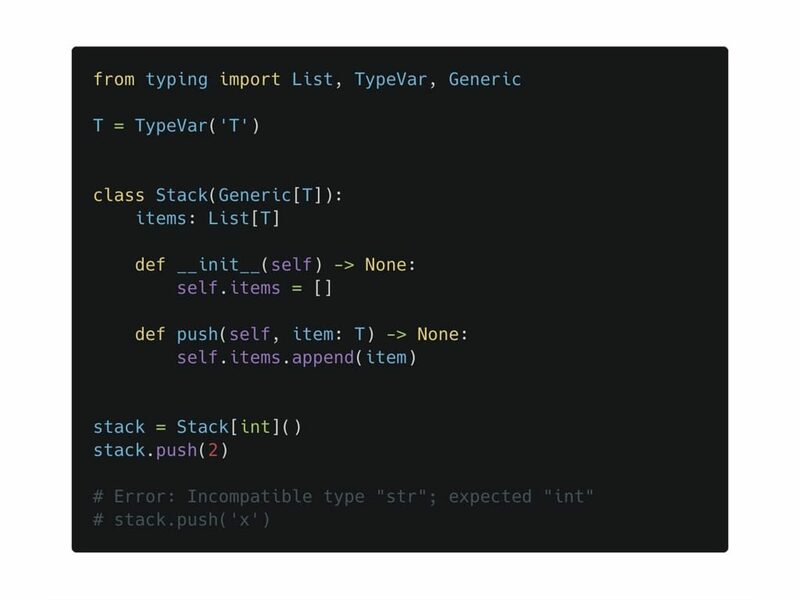 As with generic classes, the type variable can be replaced with any type. 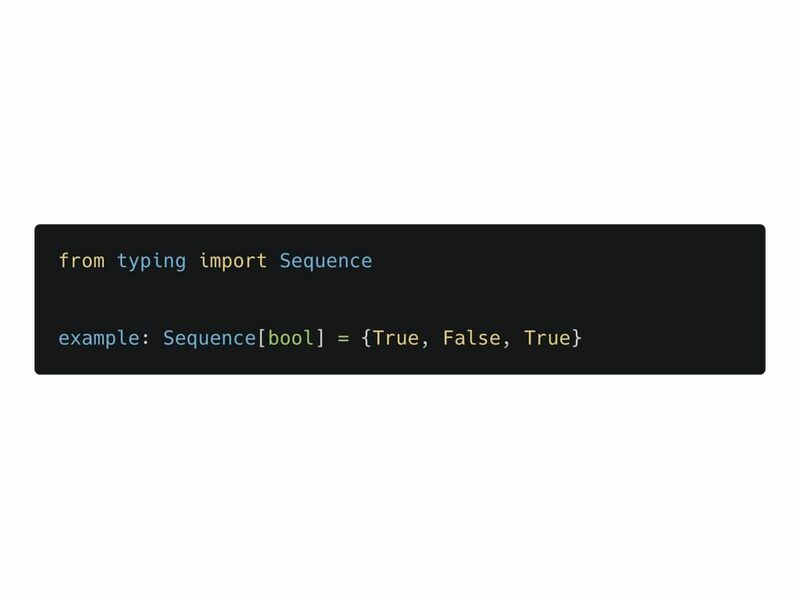 That means first can be used with any sequence type, and the return type is derived from the sequence item type. 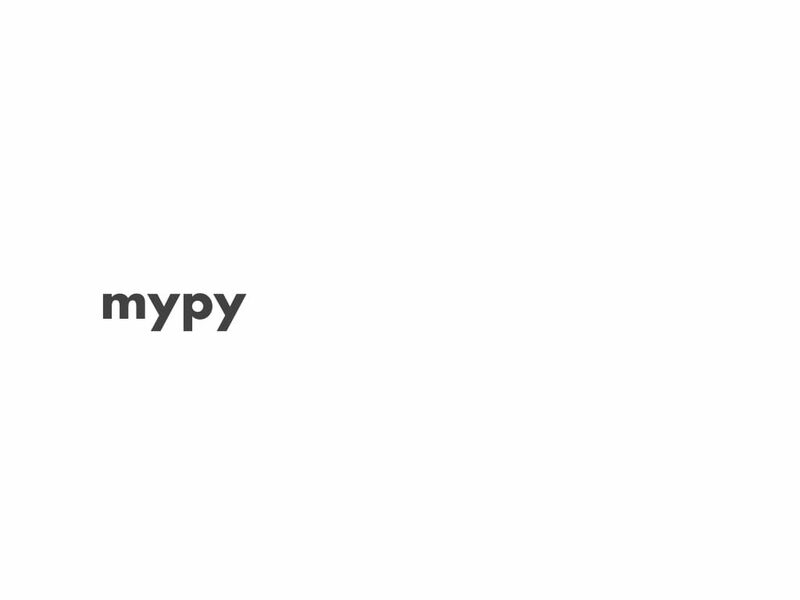 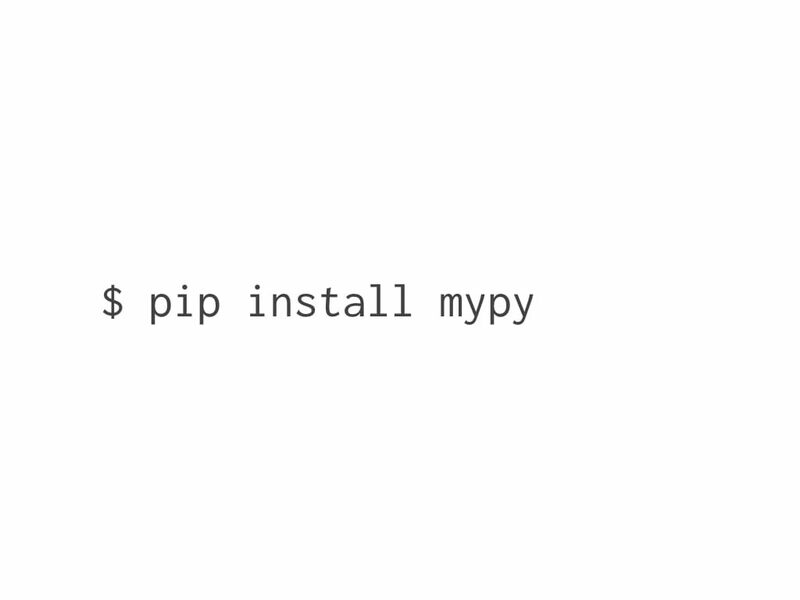 mypy is a static type checker for Python. 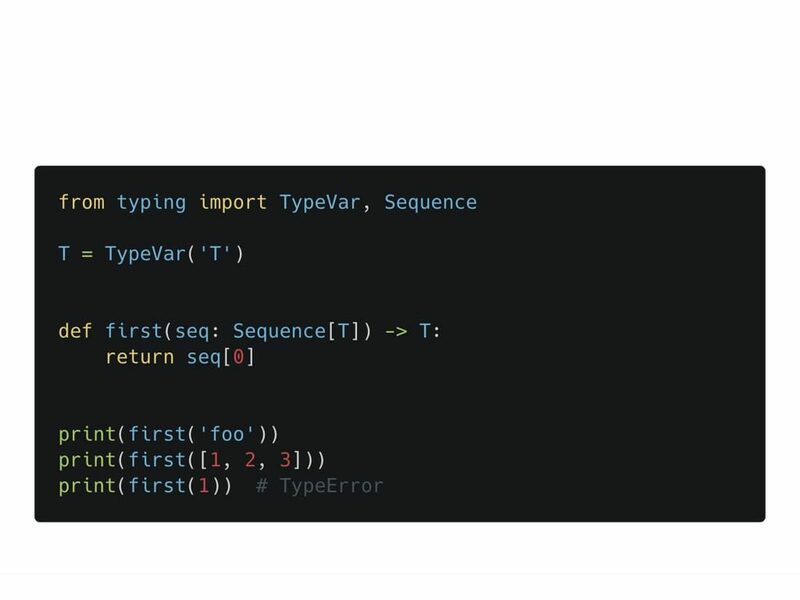 If you sprinkle your code with type annotations, it can type check your code and find common bugs. 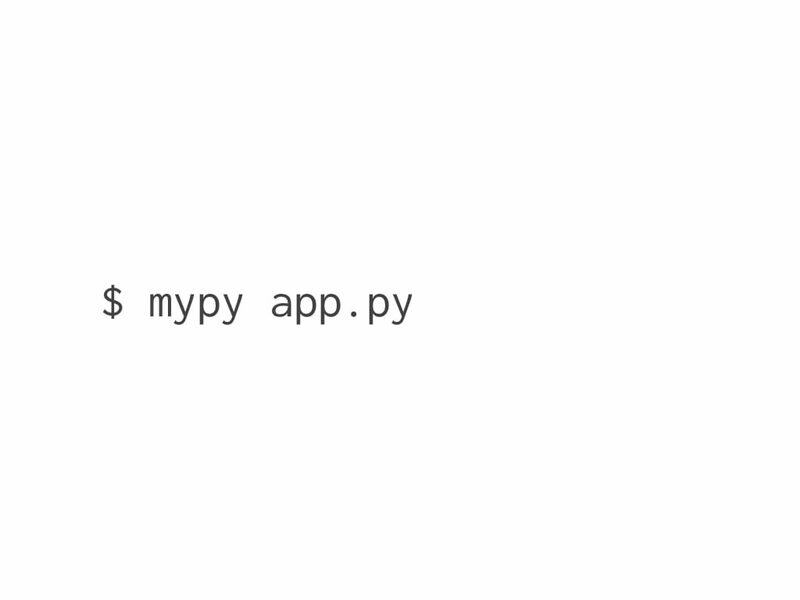 As mypy is a static analyzer, your code’s type annotations are just hints and don’t interfere when running your program. 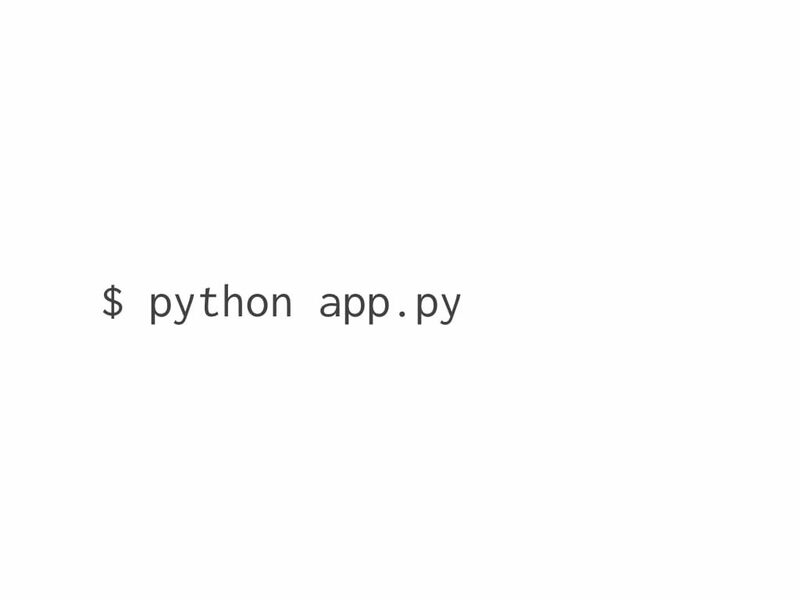 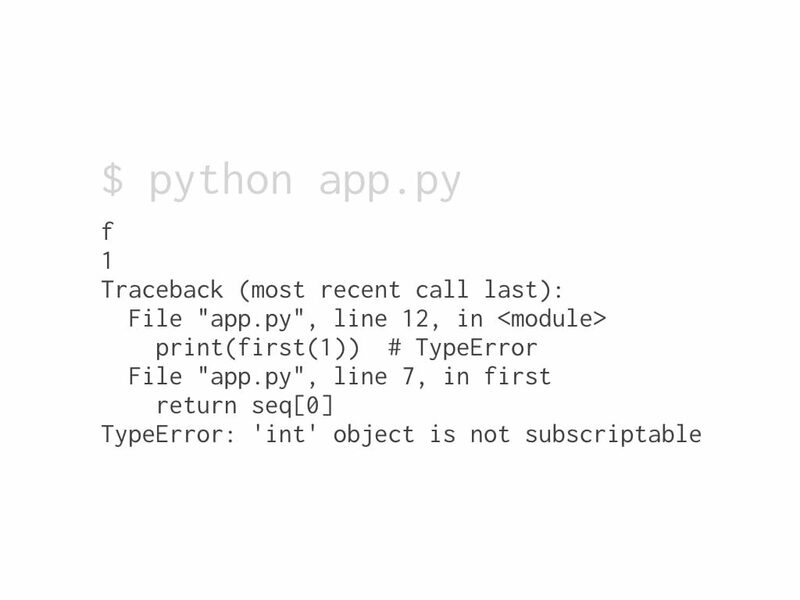 When you run your program with a standard Python interpreter, the annotations are treated primarily as comments. 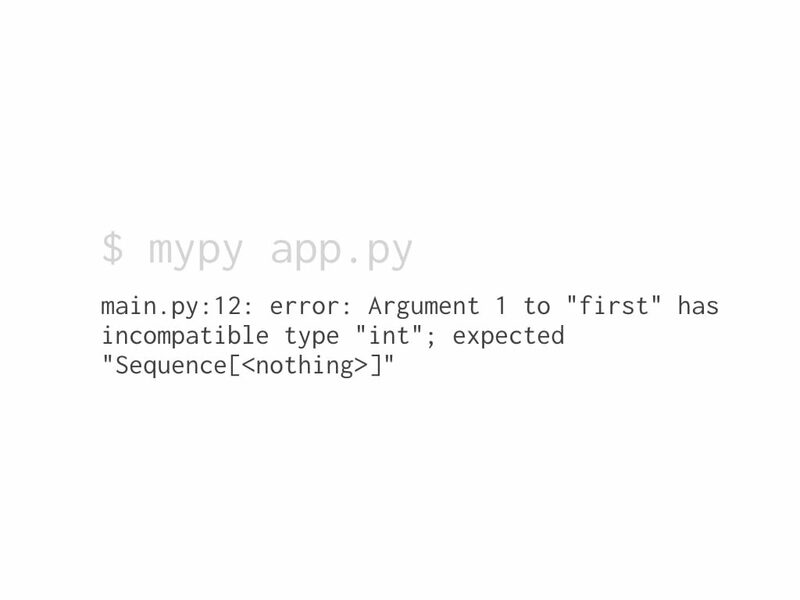 …you’ll get useful errors before runtime. 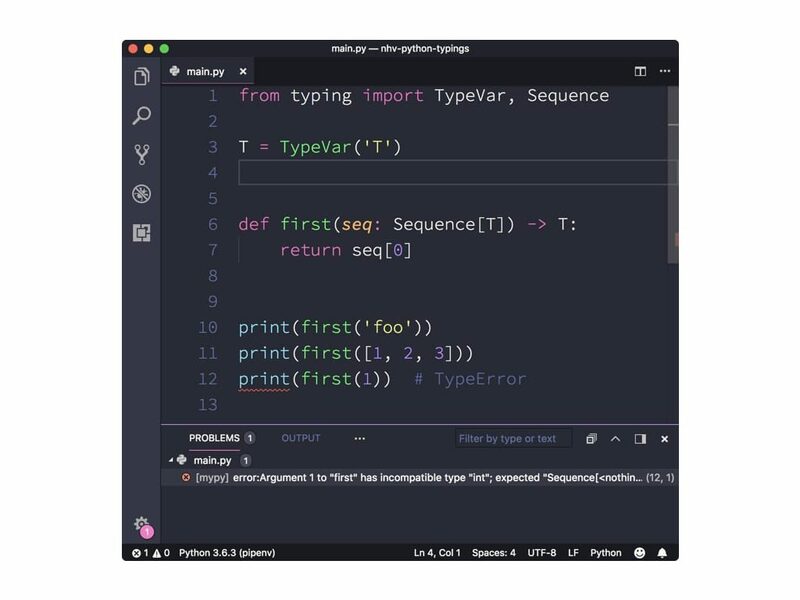 If you use Visual Studio Code, the Python extension has great support for mypy. 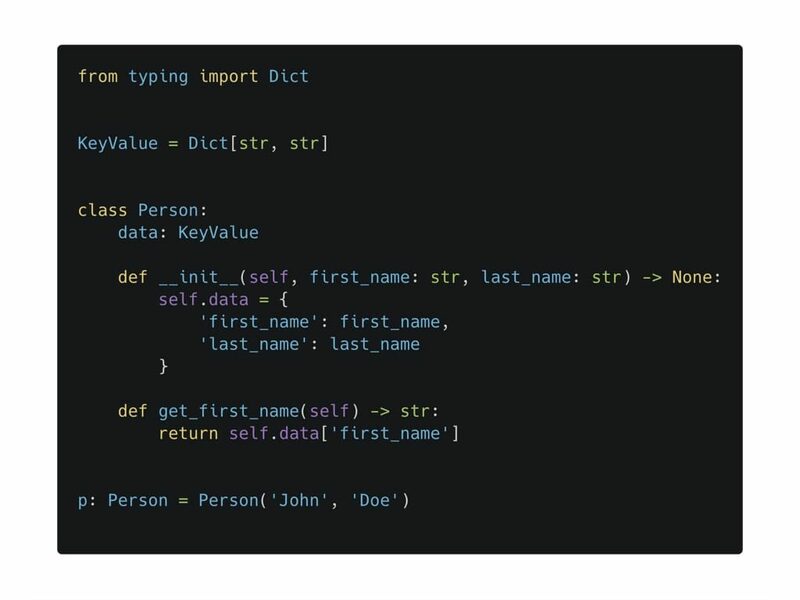 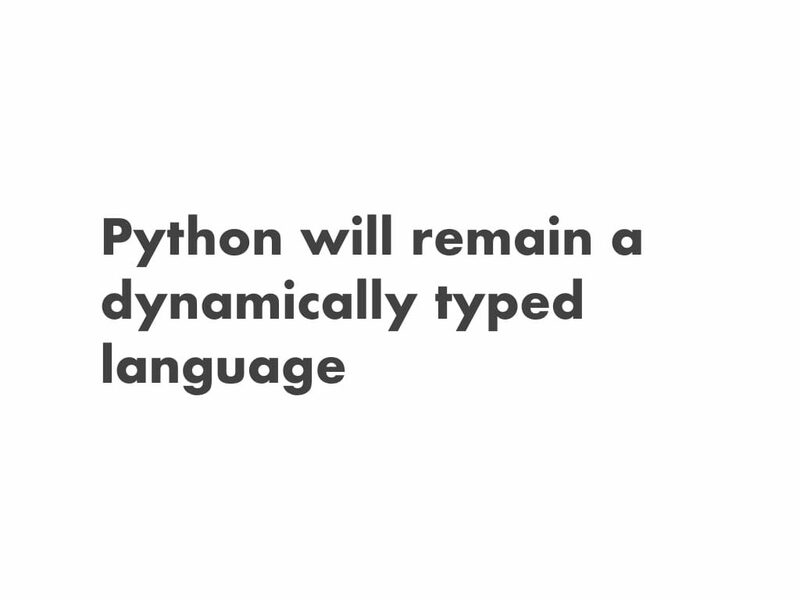 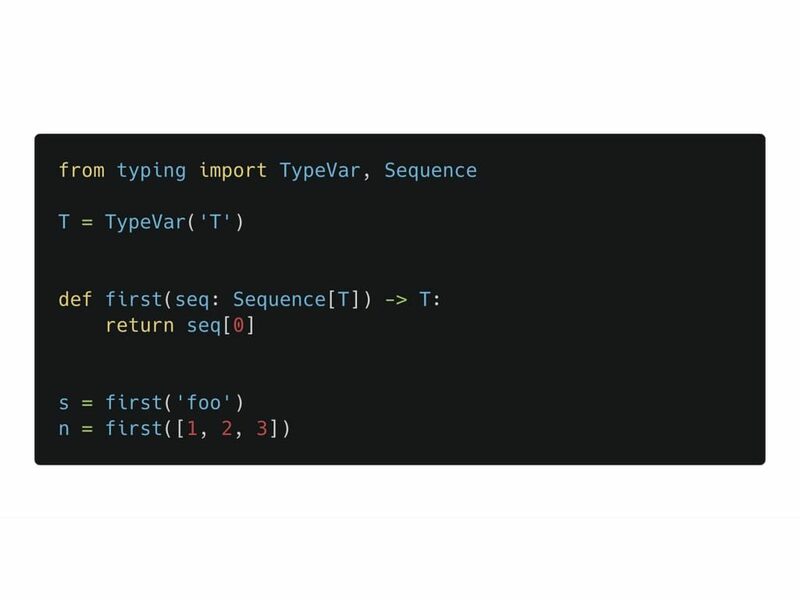 Even though we now have typings, Python will remain a dynamically typed language, and the authors have no desire to ever make type hints mandatory, even by convention.